Part of the money from the sale of Copper that will be mined from the Black Mountain in Kitwe will go to Edgar Lungu and the PF 2021 campaigns. Celebrated thief Edgar Lungu has given Copperbelt criminals called ‘Jerabos’ shares in the copper slug dump commonly referred to as Black Mountain’. This is despite an ongoing court case. The owners of the slug dump have been forced to enter into a partnership with thieves called Jerabos. Part of the conditions given to Copper thieves by Lungu is to block UPND Leader Hakainde Hichilema, Chishimba Kambwili and Harry Kalaba from campaigning on the Copperbelt. A person who attended the meeting at State House has disclosed that Lungu told the thieves to form a company that will own 10% shares in the black mountain. PF provincial Chairman Kainga and a thief (Jerabo) commonly known as Shi Mumbi will be the directors of the company. The Jerabo company will be selling the Copper to some Chinese businessmen. The money will be shared with Lungu, PF and a few selected Jerabos. Those miserable souls who were paraded and paid to disturb the peace in Kitwe won’t even benefit except maybe tu ma K5 pin once a while. At the state house meeting, It was also agreed that the Jerabos should stop the three named opposition leaders from free access to the Copperbelt. 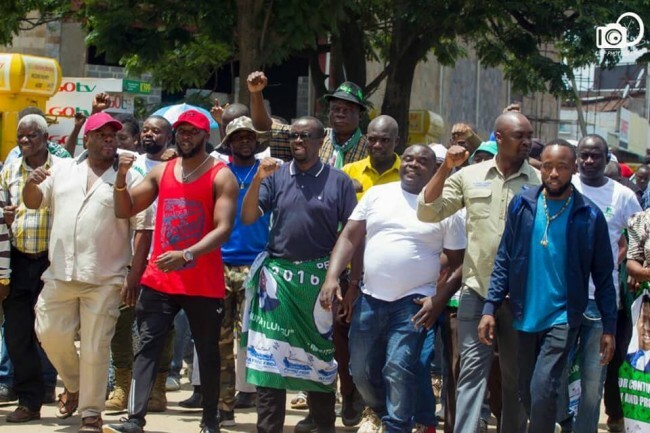 Shi Mumbi who will be one of the Directors of the soon to be formed PF company is the brother in law to Livestock and Fisheries Minister Kampamba Mulenga. He is married to Kampamba’s younger sister Rashida Mulenga. Rashida is the mayor of Kalulushi. Jerabos are the most primitive, barbaric but ruthless people in Zambia. They mainly terrorise people of the Copperbelt. With Edgar Lungu giving them back the black mountain, people of Copperbelt province should expect the days of terror back. But they are a small group of criminals who can easily be taken out.